The town and region were known as Frankland River until 1935. However, after the building of a local post office, the postmaster shortened the name to Frankland because “Frankland River” was considered too long to fit on signs and documents. The named was changed back to Frankland River in 2007. One of Western Australia’s best-kept secrets, the Frankland River wine region is home to rolling hills, rich and productive farming land, olive groves, natural forest and bush, abounding with unique native wildflowers. 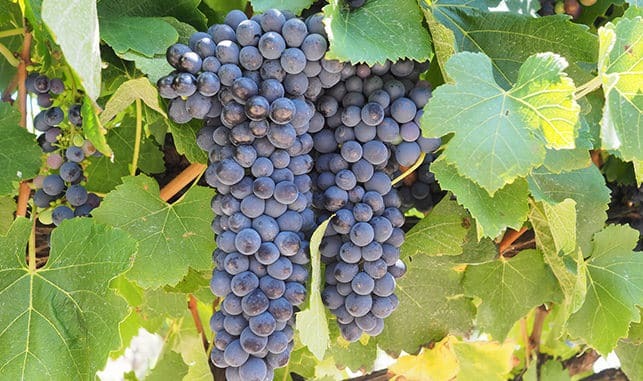 With a diverse range of grape varieties, it is most noted for its Shiraz and Riesling. Visitors can spend the day visiting modern cellar doors and taste first-hand the distinct flavours the region has to offer. Frankland River’s warm days and cool nights, along with the unique location and soil profiles contribute to the uniqueness, quality and success of the wines. 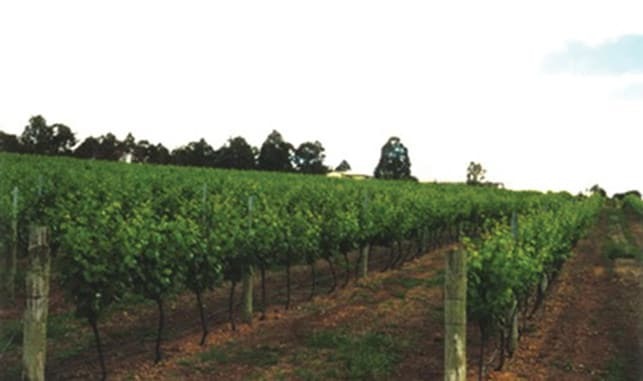 Alkoomi Wines is one of WA’s largest family owned and operated wine producers. It is this family’s love and commitment to the place they chose in the Great Southern, as well as Alkoomi’s unique combination of gravelly loam soils, warm sunny days and cool nights during the ripening season that produce grapes of intense varietal character and a sense of place. Bobtail Ridge Wines is family owned and operated winery. Varieties include Semillon, Riesling, Shiraz, Cabernet/Merlot, Cabernet, Sauvignon/Merlot. Ferngrove Wines, in Frankland River, is one of the world’s most isolated wine estates. While this isolation makes the logistics of winemaking tough, it is also what makes Ferngrove wines distinctly different. Selected in 1998 for its favourable viticultural location 90 kilometres from the coast, Great Southern’s valleys and slopes have the rare combination of rugged, classically West Australian ancient soils and the cooling influence of the converging Southern and Indian Oceans. Buried deep in the heart of Western Australia’s most isolated wine region, Frankland Estate is as much a part of its natural landscape as it is a winery. Located 250km east of Margaret River and inland from the wild and picturesque Great Southern coastline, we take our role as custodians of our land very seriously. We have invested a lot of time and energy into minimising our impact on the ecological balance of the region, alongside the micro-biology of our soils and supporting causes to improve the health and future prosperity of our local fauna and flora. Our wines are produced from select parcels of fruit chosen from our single estate vineyard at Frankland River, Western Australia. Our first vintage was the limited release Lange’s 2011 Shiraz produced from our old Shiraz block. Lange’s Shiraz will be an exclusive limited release each vintage, alongside our limited release Semillon Sauvignon Blanc and Riesling. Orchids such as the Leopard Sun Orchid, can be found in the Frankland River region and are a spectacular sight. These orchids can be found along the wildflower walk from June right through to December. The wildflower walk begins at the end of Herbert Street in Frankland River, where you will find some interpretive signage as well as a great spot for a picnic. This is a great example of the old stock dams that were used by local farmers moving their stock, before the days of road trains, to the sale yards in Cranbrook and Mount Barker. The old trough can still be seen on the edge of the dam with some of the old fencing still standing. These dams were used in the early 1900s, positioned around 20 miles apart through out this region to allow a good day of droving in between stops. This is the largest lake in the area and is popular for swimming and skiing during the summer months. Camping is available at the lake and camping fees apply during peak periods. Proceed to waypoint 13km east of Frankland River on Cranbrook Frankland Road, then turn south onto Lake Poorrarecup Road. Proceed along dirt road for 9km, then turn west onto track for 200m to the picnic area at the lake.